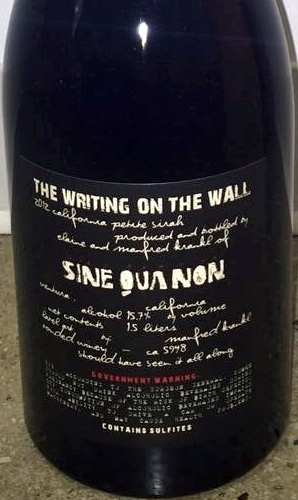 This is the first Sine Qua Non bottling of Petite Sirah as the primary grape. It is a blend of 94% Petite Sirah and 6% Viognier. It was aged in 80% old hogsheads and 20% in new French oak. 80% is from the Third Twin Vineyard and 20% from the Cumulus Vineyard. 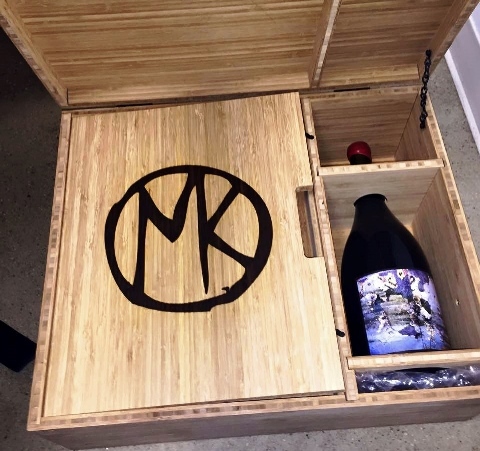 It was bottled only in magnum. 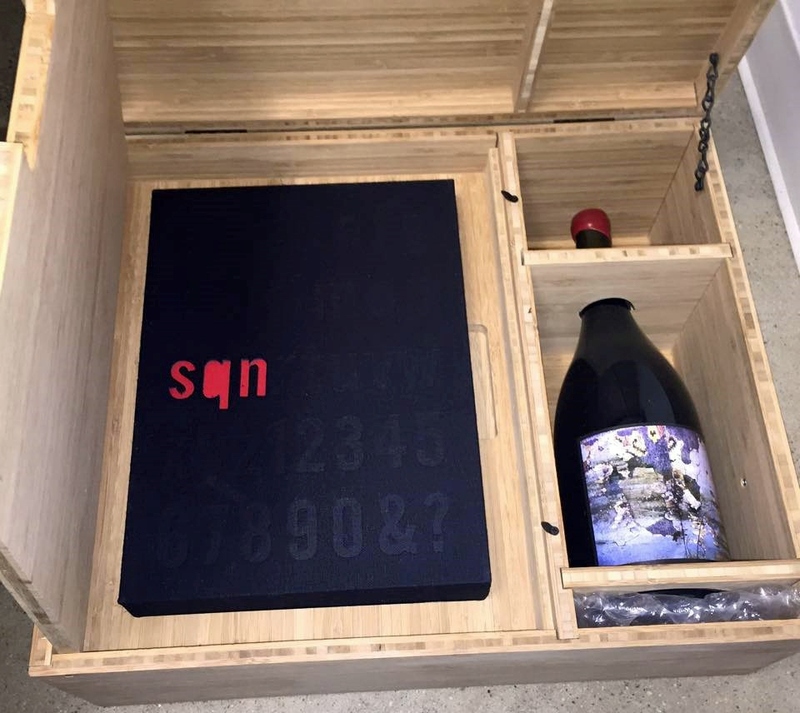 It was sold in a box with a special edition of the Sine Qua Non label art book The Art of Sine Qua Non. 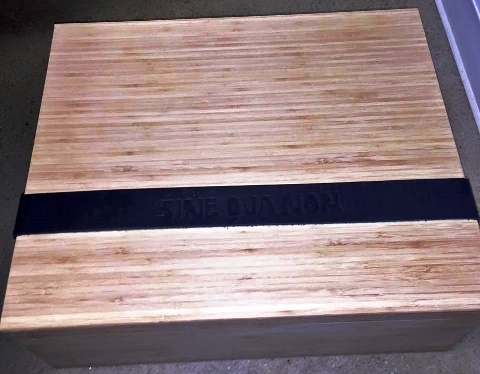 Since we are E & M from Sine Qua Non, we had to complicate things just a little bit more. Aside from the delightful standard books we also produced 350 of a COLLECTOR'S EDITION. These specialties will carry a serial number, will be signed by Manfred and come packed in a gorgeous bamboo wood box along with a magnum of 2012 Petite Sirah named The Writing On The Wall . 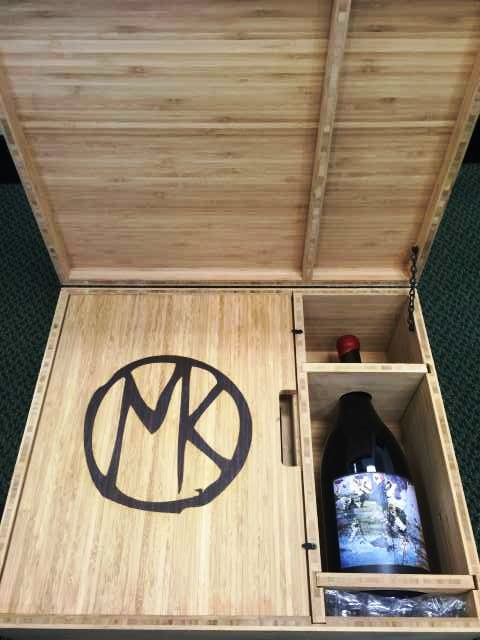 This will be the only way this fabulous wine is going to be available. It is 94% Petite Sirah and 6% Viognier from our three Estate vineyards … The Third Twin, Cumulus and Eleven Confessions. Only 356 of these absolute beauties were filled. I wouldn't dare miss this rarity. Because there are so very few of these and even more so because of our various moronic laws we have to ask you to call Stacy or Amber at 805-649-8901 to get your eyes and tongue onto such a singular treat. They will explain and assist you to make this happen in a straight forward and efficient manner. 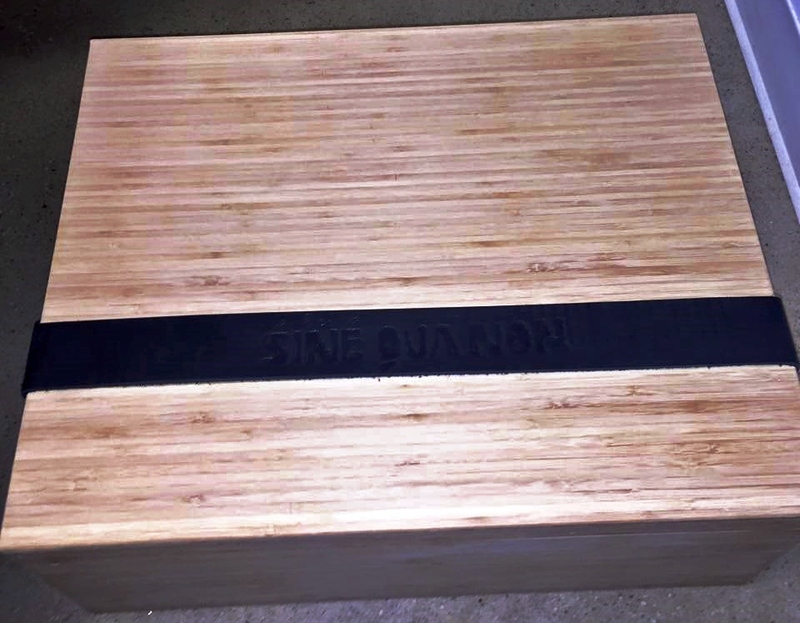 Naturally these truly special and one-off treats have a price and it is $1500 per box set.